ONE-HALF MILE SOUTH OF I-88 ON LAKE STREET (ROUTE 31). THE OFFICE IS ON THE EAST SIDE OF THE STREET ACROSS FROM PRESENCE MERCY MEDICAL CENTER. THE OFFICE IS THE BUILDING ON THE RIGHT AS YOU ENTER THE PARKING LOT. The Aurora Social Security office is located in Aurora 60506. The following page includes information for this location like the office phone number, hours of operation and driving directions. 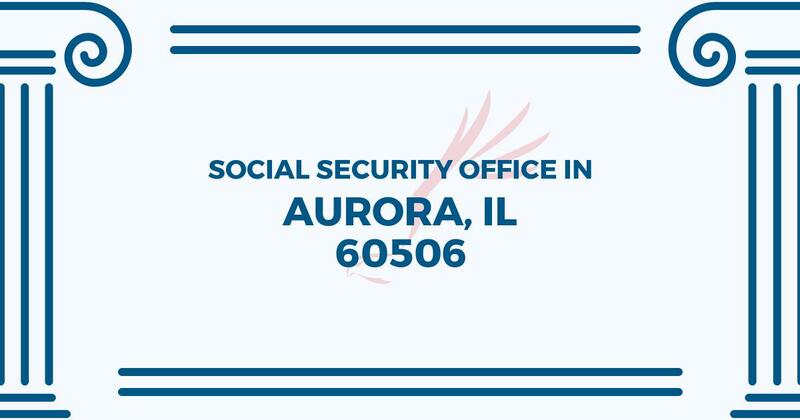 If you have any interests or comments about your retirement benefits or are interested in making an appointment, call the following Aurora Social Security office. The Aurora Social Security office is located at 1325 N. Lake Street. The Aurora office shares information, guidance and services operated by the Social Security Administration. The following page includes information for this location like the office phone number, hours of operation and driving directions. If you have interests or worries about your retirement Social Security benefits, or you need to schedule an appointment, contact the Aurora Social Security office. Dealing with them with my Mother in Law- awesome group!